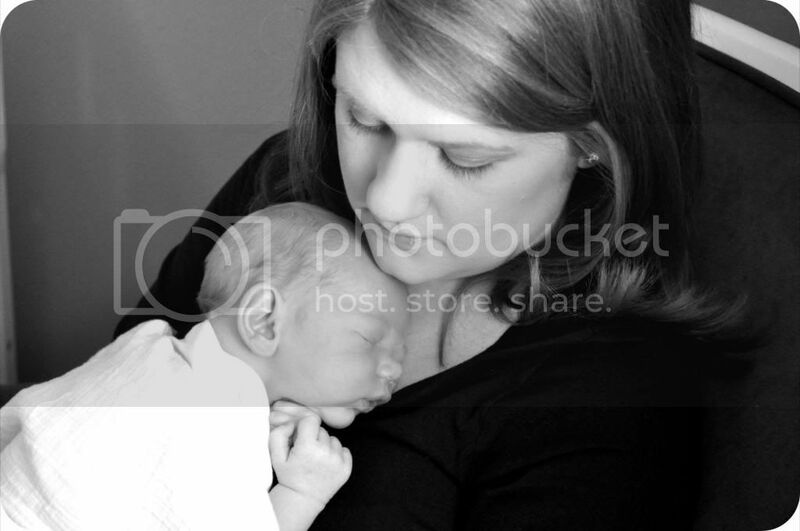 Jordy Liz Blogs: Before I forget, new mama. Before I forget, new mama. I read this article the other day about how new moms often forget how foggy those first few weeks with a baby are. Moms who have been-there-done-that forget what it's like to be a brand new mom. I have already found myself forgetting, though I know it was a trying time. And I am not saying we are completely out of that funk. We are still sleep-deprived (and I'm sure we will be until he graduates college) and we are still learning something new every day. But we've hit a point where we are actually starting to enjoy it. The thing is, I don't want to forget. I don't want to forget the hard nights, the long days or the snide conversations between two exhausted parents. Just like I don't want to forget the moments when we finally figured it out - whatever it was at the moment - and the sweet moments captured between mother and son, or father and son, or those two exhausted parents. I don't want to forget because it is all a part of the journey. So, to my pregnant girlfriends out there and to the future me who will most likely do this all over again, I want to remember some things before I forget. Before I forget, the first two weeks are the hardest. I heard this over and over when I was pregnant, but I had no idea what it would actually entail. You are healing physically. You are all over the place emotionally. Your spouse isn't your first priority anymore and you're not sure what to do with him. You are now responsible for a human life and no one gave you an instruction manual. And you're getting used to little to no sleep. But something miraculous happens on day fourteen. It gets kind of better. Your body has figured out that it has to function on two-hour increments of sleep at a time. You and your spouse have figured out a rhythm with one another. And you are actually starting to figure out the baby. On our first night home from the hospital, we couldn't get Liam to sleep. We fed him, changed him, rocked him, swaddled him, and tried getting him to sleep in the bassinet. He was inconsolable. And we had no idea what to do next. In our birth classes and at the hospital, everyone talked about swaddling. And then we get a baby who hates swaddling. The bassinet had been sitting in our room for over a month waiting for the baby, and now the baby couldn't stand the bassinet. We were up until four in the morning that first night trying to make our baby go to sleep. The only reason it was only until four was because my mom walked in, took Liam, and told us to go to sleep. I want to remember that look we gave each other as we climbed into bed. Eventually, we learned he slept best in the swing. For the first three weeks of his life, he slept in the swing next to my bed. Because it worked. That's the thing: you do what works. Sometimes that means the bassinet gets pushed to the side for a few weeks and sometimes that means you drag a swing into the room at three in the morning. "Just get the swing!" was yelled across the house when the bassinet, bouncer and my arms weren't cutting it. I want to remember how funny it was when my husband was trying to get a swing through our bedroom door that was twice as wide as the door frame. And I always want to remember that time I found myself in the formula aisle of Walgreens at three in the morning after having a meltdown in my bedroom because I just realized I couldn't keep up with my son's appetite through the physical pain and lack of supply. "How's your night going?" the cashier asked us as we stood there in our pajamas with a newborn in a carseat watching twenty-somethings pass by after a night out on the town. "New baby," we said, and we left it at that. Formula wasn't the plan; nursing was the plan. I had nursing covers, a breast pump, and all of the bells and whistles for nursing. But I couldn't do it. Physically and mentally, I couldn't do it. I want to remember that moment because it was a moment I had to free myself from a lot of guilt. I felt guilty for costing us money we weren't planning on spending and not giving my son what was only natural. I felt like I had failed both as a mother and a wife. The one thing I had promised to do, I couldn't do. I soon realized that what was best for me was best for my son. The morning I sat in the glider for three hours trying to appease Liam's never-ending appetite before I even had a chance to use the restroom or get a bite to eat on the very day Chris went back to work was telling of the fact I wasn't taking care of myself. So I just sat there and cried. And if Mama ain't okay, nobody's going to be okay. I want to remember the first time my husband told me to get out of the house by myself on day ten to go sit in Starbucks for an hour. Nobody knew I had a baby at home. Nobody needed me to feed them or hold them. And I felt like myself for the first time in too many days. On the flip side, there was the night I grabbed my keys without saying a word and got into the car to drive aimlessly around the neighborhood because I just needed to be by myself, without a baby or husband, if only for ten minutes. I want to remember just how badly I needed time to myself to recharge. So, before I forget, the first two weeks are the hardest. Give yourself some slack. Let the dishes pile up. Stay in your pajamas. Tell people, "Now isn't a good time." Let go of the guilt. Cry if you feel like crying. And don't try to justify the crying. Get in the car and drive around the neighborhood - by yourself. And know that one day, believe it or not, the two weeks are up. It's going to be okay, new mama. I remember. As one of your prego girlfriends... thanks for this! XO! Wonderful post - so much important advice. Khi nói đến bàn làm việc hòa phát không có gì quan trọng bằng một chiếc ghế làm việc và bàn làm việc giá rẻ thoải mái và tốt cho sức khoẻ của bạn đặc biệt nó cũng ảnh hưởng ít nhiều đến hiệu quả công việc. Một cái ghế thích hợp sẽ tạo một sự khác biệt đáng kể giúp cơ thể bạn cảm thấy thoải mái trong suốt ngày làm việc.